COL Sevronis sat hidden within a dark conference room, reclined with his feet on the table. The only light came from a monitor at the other end showing a recording of past operations. Simulation training and regular skirmishes had been highly successful in the recent weeks. Incursions for objectives against the clanners have equaled up to a nice paycheck on average. "Looks like M&M has improved a bit." Sevronis mentioned to himself. "I more suprised I haven't heard any candy jokes about his nickname yet. Not that I've thought of any either that didn't sound weird." He took a large gulp of rum, then reached for the monitor remote, advancing the recording. "Divit's showing promise despite how green he is. Pretty good at flanking maneuvers. Shamansky has been doing pretty well too, though that's to be expected in Black Ops." He seemed to ignore the video for a moment, staring at his glass while casually swirling the liquid inside before taking another swig, then glanced back up at the monitor. This time it was a recording of Nieje's multiple successes, most of them being outnumbered a little. "Pretty much what I've come to expect from him, I should really put in a recommendation in with Skye Command." Sevronis advanced the recordings further, this time of the latest simulation trainings. "Nemesis looks pretty solid in a command role," he nodded with a stroke of his beard. "Black Caimen shows potential for it too albeit still rough around the edges. At least he could pull some inspriation from Nemesis." He let these recordings play out more fully to get more of an idea what lance roles to assign them before forwarding to the last few recordings. "I see Griffster has become pretty well rounded with all weight classes as well. He's become pretty good at fire support too. ", the stout commander stated before finishing off the rest of the contents in his glass and turned off the monitor. He glanced at the clock. It was still pretty early. "I'll send my report after a little nap. 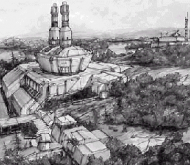 ", Sevronis muttered, pulling his cap down over his eyes. "This should be a pretty good place to avoid interruption." Within five minutes a knock pounded on the confernce room door, soon opened by his secretary. TL;DR version. Shorter post this time and also a bit late due to delay with the HPG network. Congrats to the above! 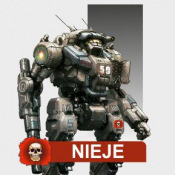 And congrats to Nieje for MWotM! Keep doing what you do and other great things! Strength through unity! [KM-GEN] William Slayer I watched Black Caimen take on 4 to 1 odds this week... and make the Rangers proud!! o7 sir! [CP] Divit That was fun too read. Probably cause I can be a bit narcissistic at times... Congrats Comrades! [LT-GEN] Sevronis o Well deserved, Nieje. [SenSGM] GDL Griffster Hell Yeah! Well deserved. [LT1] Black Caiman Getcha some! KM-GEN Hercu1 Resigns as OIA, Applications Open! I have the sad duty to report that KM-GEN Hercu1 has resigned from Brigade Command and requested a transfer to the DropShip Reserves. Hercu1 has been with the SR since the beginning. 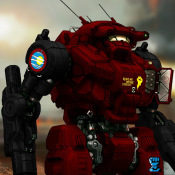 Besides welcoming many new recruits, Hercu1 was also the person most responsible for collecting nominations for Mechwarrior of the Month. We are sorry to see him retire. Officer of Internal Affairs (OIA): The Officer of Internal Affairs moderates the internal forums and message boards of the Brigade. The OIA will monitor the internal comlinks of the Skye March and is authorized to maintain same in accordance with the Bylaws. The OIA is also the commander of the Mobile Field Base (MFB) unit (fiction/support). The minimum Rank for this Position is Leutnant-General (LT-GEN). The OIA can also appoint an OIA Attache (OIA:A) who assists primarily with the management of forums and special projects. The minimum Rank for this Position is Senior Warrant Officer (SWO). If interested, please shoot me an email. Thanks, Hercu and good hunting!!! [LT-GEN] Sevronis o Quite a long run there. Enjoy retirement and hope to still see you around once in a while o7. [KM-GEN] William Slayer o7 sir, Hope you get a chance to play now and again! Annual 2018 Rank Salaries & Patent of Nobility Stipends Paid ! I am running all the Rank and Nobility Enjin CMS Automations this evening which will allow you all to recieve "SR Credits" as your "annual salary" so to speak for your service in the Skye Rangers. These credits can be used in the Skye Rangers Marketplace...(btw, I am looking for a graphics guru to help me out to remodel and update the Marketplace). Although this a RP fluff thing, it does allow us to keep more with the MW lore and (I think) adds another, deeper dimension to the SR guild...Good hunting! Enjoy & my apologies for the delay this year...! [HPT-KM] Deathshade Thanks Chief. Now I got my Castle. [LT-GEN] The Zipper Now maybe I can afford the Jump ship that I want! For those interested, Piranha Games has started offering pre-order packages for Mechwarrior 5 Mercenries including closed beta access and MWO perks.